Caroline Buchanan. Photo: George Tsotsos. Eight times world champion in BMX and Mountain Bike, Caroline Buchanan says she had no intention of walking away from the bike despite a horrific run of injuries in the past 15 months. As she delivers a shopping list of surgical procedures in the wake of an off-road accident late in 2017, talk of her injury toll is instantaneously overshadowed by her desire to get back into competition. She wants to be ready to qualify for next year’s Tokyo Olympics. Caroline has undergone nine surgery procedures in 18 months including two sternum reconstructions, resulting in titanium plates bolted to her chest. The injury toll looks extreme as the list continues; a broken nose, a broken shoulder, two broken fingers, broken sternum, double puncture and collapsed lungs, punctured heart wall, and torn discs in her back. It’s fair to say the past year-and-a-half have been challenging, but it has also provided an opportunity for reflection and for Caroline to focus on other ethical initiatives. She has been writing children’s books, with her second titled Girls can be brave, about to be released. Then there is her range of balance bikes targeted at the two to five year age group. This is a young woman always on the move, both mentally and physically! Caroline at the launch of the Next Gen Scholarship Program 2019. Photo: Nadia Pessarossi. Caroline, it would appear, is just as passionate about helping others as she is about competing at the Olympics or World Championships. So much so, she has devoted much of her time off the bike to her “Next Gen” Scholarship program. Next Gen helps young BMX riders achieve their goals by providing funding to compete at the World Championships. 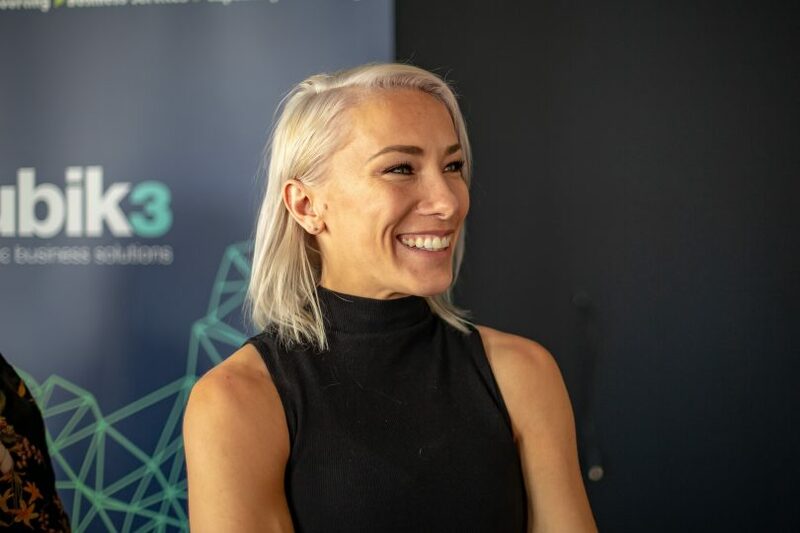 Inspired by the assistance she was offered as a 14-year-old by surfing champion Layne Beachley, Caroline has provided $73,000 in funding to 17 girls aged 14 to 15 years of age over the past five years. Her drive to set up the scholarship fund in the first instance is just as inspiring. She sold her Olympic bike and World Championship jersey, combined with crowdfunding, to ensure there was financial support for young riders emerging in the sport. This holistic philosophy aligns perfectly with the community approach adopted by Canberra business, Rubik3, which decreed this year as being the year of “Girls Can Too.” The high flying Canberra professional services consulting firm, with a proven commitment to backing community sport, has partnered with Caroline, giving her scholarship fund a $15,000 boost over the next three years. 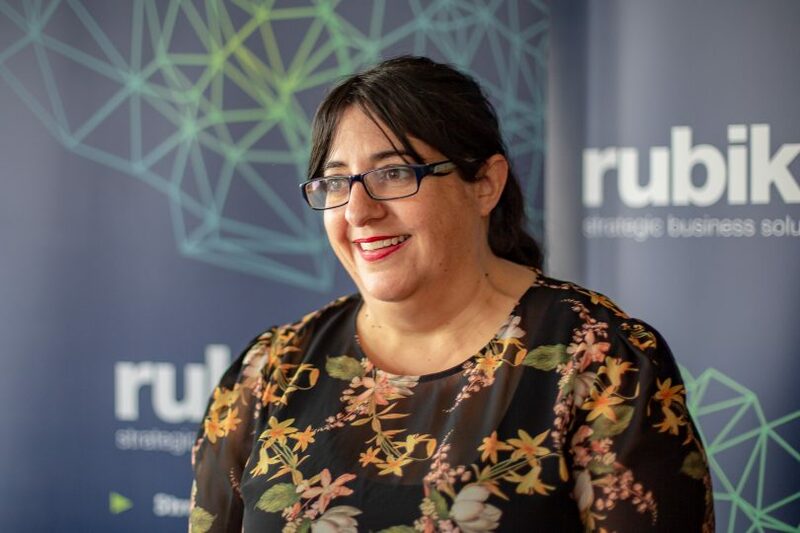 Nadia Pessarossi, Rubik3 Associate Partner. Photo: George Tsotsos. For 28-year-old Caroline, that value set will provide an inner mental strength as she builds towards a return to competition in time for the Olympic test event in Tokyo in mid-October. She hopes to be cleared to be back on her bike by 1 June, but she has to temper her expectations. She was hoping to qualify in two BMX disciplines, but the injuries have forced her to drop freestyle from her program. Given what she has been through in the past 18 months, it would be foolish to doubt her ability to get back to the top in time for the 2020 Olympics. She is living proof that it takes a community to produce a champion. Canberra legend Caroline Buchanan is as passionate about helping others as she is about competing at the next Olympics. 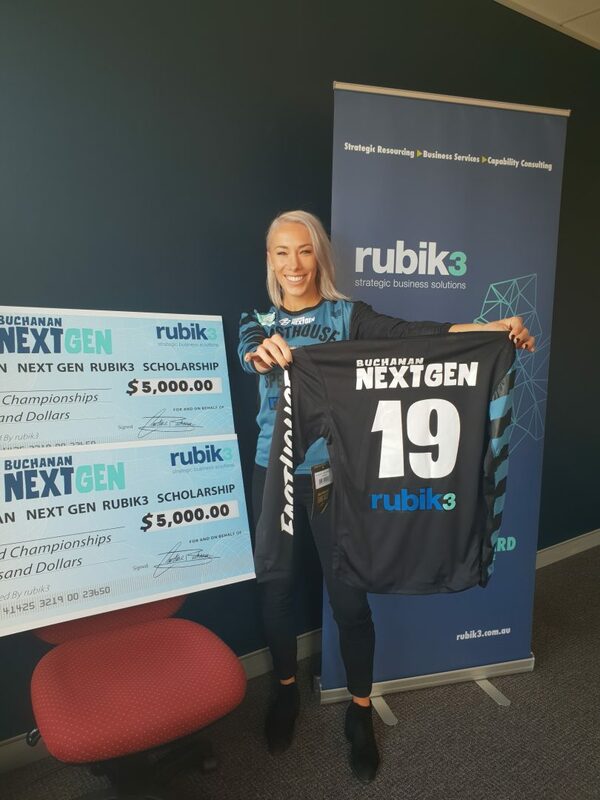 She knows it’s a tough road to the top, and that’s why she devotes much of her time off the bike to her Buchanan Next Gen scholarship program. Thanks to the generosity of sponsors like Rubik3, young riders now have clear pathways to the world championships. Click to hear the sporting superstar and Rubik3's Nadia Pessarossi tell Genevieve Jacbos more about the program. The Next Gen scholarship program in 2019 will help two girls aged 14 and 15 years, and their families, compete at the BMX World Championships in Belgium. Applications for the Next Gen scholarship program are now open. Details are available on the Carolinebuchanan.com website.